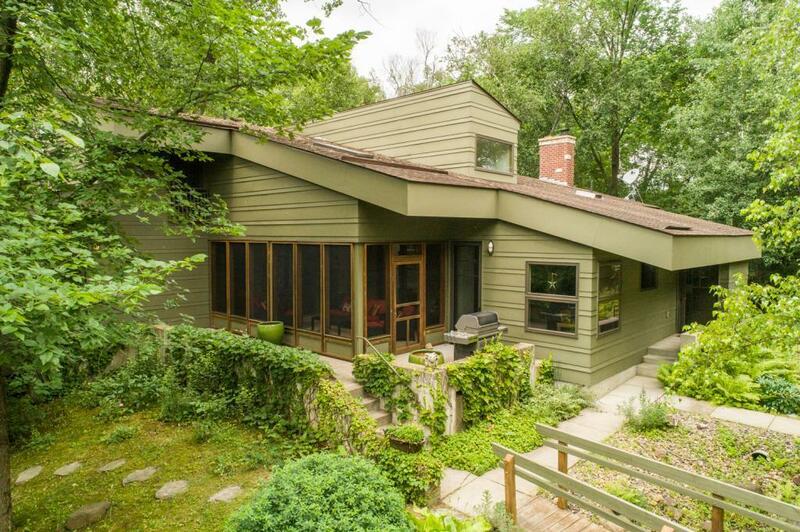 Nestled in deep woods for privacy, located on a quiet cul de sac with only 2 other homes, this home provides peace & serenity. Architecturally designed, creating interesting interior spaces. 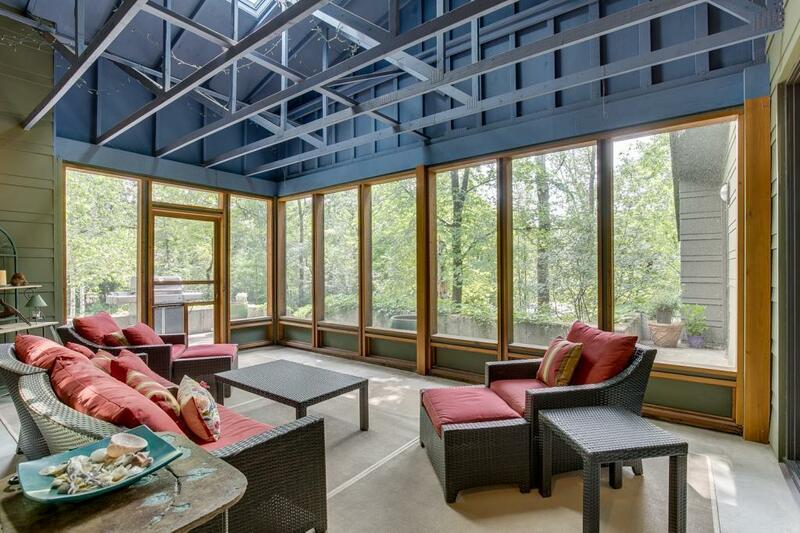 Generous screened porch is an integral part of the living spaces & is ideal for these warm summer days. 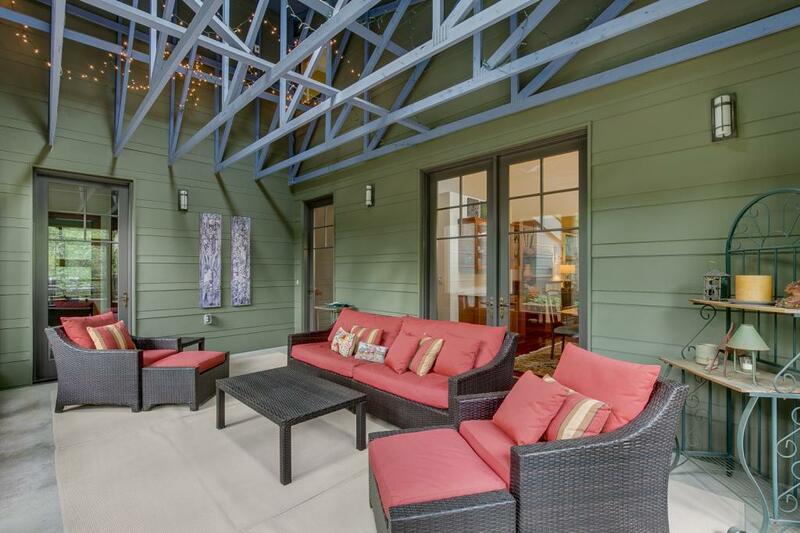 Floor plan creates open kitchen, dining room & living room adjoining porch. 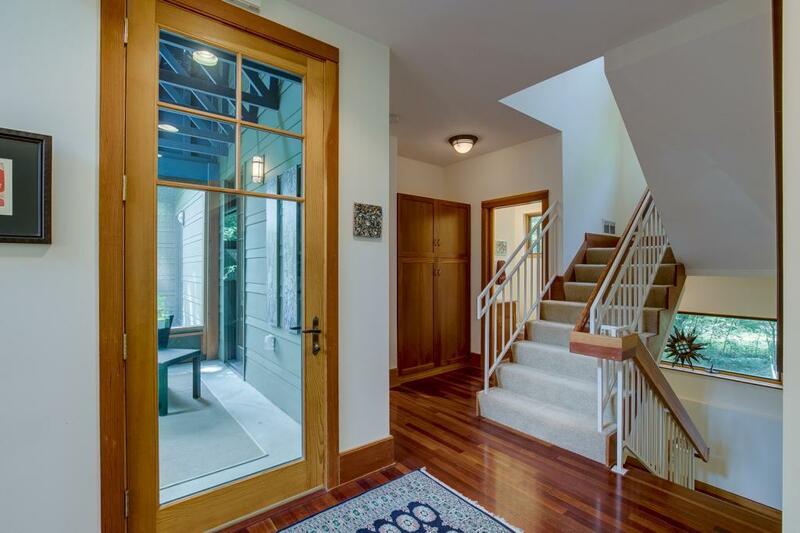 Extensive use of cherry cabinetry and built-ins w/Brazilian cherry flooring. Main level owner's suite w/fully finished LL.